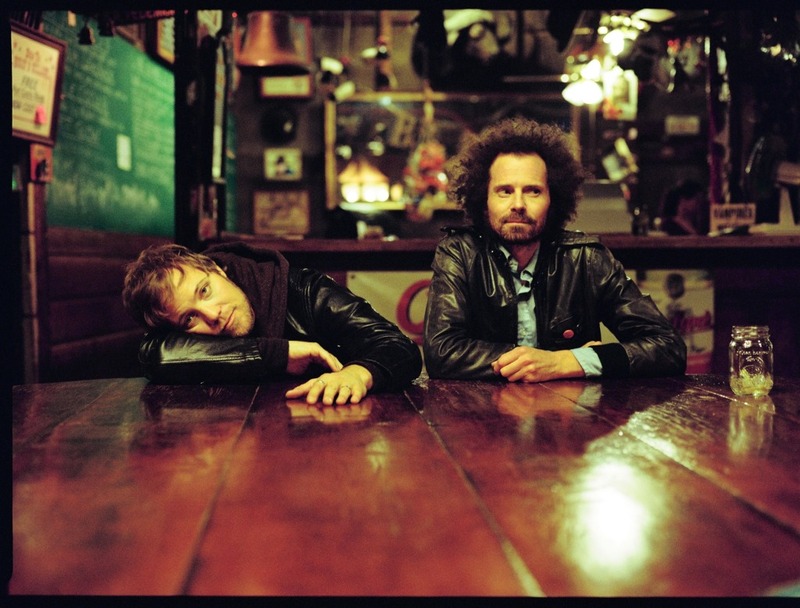 Fire Note Says: The new Rogue Wave serves as a kind of return to form – with mixed results. Album Review: Zach Schwartz (aka Zach Rogue) has had the kind of career most indie rock bands at the beginning of the 21st century could have only dreamed of – signed to seminal indie label Sub Pop, his songs appeared on TV shows (Weeds, 90210, The OC, One Tree Hill, Scrubs, etc.) and movies (Just Friends, Spiderman 3, Friends With Benefits, etc.) but Death Cab-like fame and fortune never materialized. 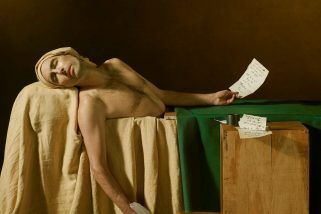 Illness, injury and death have followed him and his band for years. 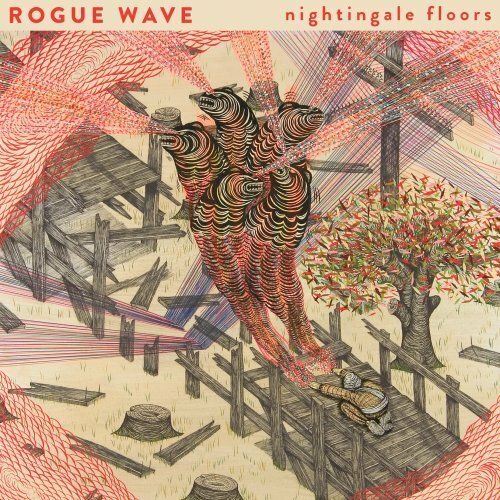 Now after a two record stint with Jack Johnson’s Brushfire Records, Rogue Wave return with their fifth album, Nightingale Floors, on another flagship indie label, Vagrant. Though not being hyped as such, it is for all intents and purposes the dreaded return-to-form record after the disastrous Permalight. That 2010 snooze-athon tried on a very unflattering style in electro-pop. I’m never one to criticize an artist for changing directions, but this was truly bad. So Zach and longtime collaborator Patrick Spurgeon went back to basics and what we have here, ladies and gentlemen, is a bona fide comeback album. And their best since 2005’s career apex Descended Like Vultures. Nightingale Floors is an extremely front-loaded affair. Leading off with the magnificent “No Magnatone,” Schwartz sets the bar very high indeed. Electric sitar swoons while marching drums accent a spiral guitar figure and we’re off. Complete with his best melody since “Lake Michigan” off 2007’s Asleep At Heaven’s Gate, this is exactly what the songs of Permalight were not – catchy . Something that sounds like a recorder and something else that sounds like bagpipes chime in at the end and BOOM – it’s over. Single pick “College” is an obvious choice and unsurprisingly rhymes “college” with “knowledge” but it’s really good anyway in the oddball sort of way his best songs tend to be. Keeping things interesting throughout is go-to producer John Congleton (Google him. Wow. He’s produced everyone!) “Figured It Out” utilizes a trick Rogue has perfected over the years – take a simple song and give it one little twist. In this case it’s the old cut one beat out of a measure to make the phrasing skip ahead. Hmmm… He does the same thing in the very next song too. This time though it’s within the context of a really good tune: album highlight “Siren’s Song.” It is those first four songs that form the core of Nightingale Floors. Unfortunately the rest is hit and miss. “The Close I Get” is a slow, sappy ballad that goes nowhere. “Used To It” wastes a perfectly good hook by marrying it with forgettable verses. The best song on Side Two is “S(a)tan” which chugs along pleasantly enough but overstays its welcome by a minute or two. And then there’s eight minute closer “Everybody Wants To Be You” which despite its run-time consists of three chords played over and over for six minutes followed by a minute of silence and ends with an acoustic guitar and vocals and Zach is singing about his recently deceased father: “You’re always a friend of mine/Ready, steady, go.” Never one to stray to for from the center, the emotive nature of the song is in keeping with Rogue Wave’s entire story: so close and yet so far. Nightingale Floors will probably not be the breakthrough record he’s been attempting to make for over ten years now but that’s not the point. Apparently if enough Hollywood music supervisors (yes, there’s a Rogue Wave song on the Iron Man 3 soundtrack) are fans then we can all get on like it’s 2003 again and this kind of indie rock will be in vogue again. Well, maybe not.